Safety training and reporting is paramount to a vessel’s operational integrity and the overall safety of the vessel, crew and guests. 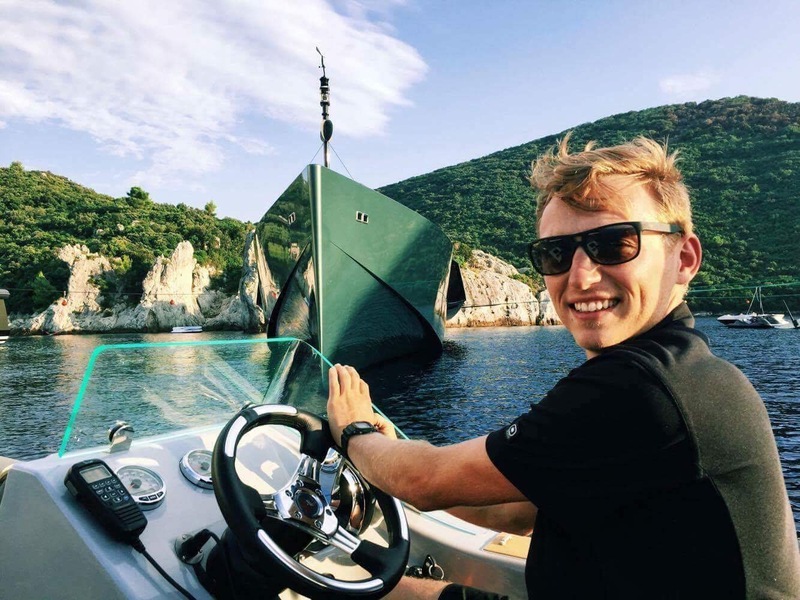 This month we caught up with Chief Officer, Archie Berrow, of a 60m motor yacht to give us his insight into managing drills and safety reporting onboard. As the Chief Officer onboard, what safety drills do you have your crew complete to ensure their readiness for each season? We partake in all required drills as per ISM and ISPS code but I also feel a necessity for additional training to supplement drills. Especially with larger vessels, crew can often go unnoticed and not have a 100% grasp of their responsibilities. A mind set that is often found onboard vessel’s is the hype into the season but when it comes to safety and security it is a non stop potential eventuality so it’s important so it is the HOD’s responsibility and the captain to ensure standards never slip regardless of operation, that’s the job in hand! 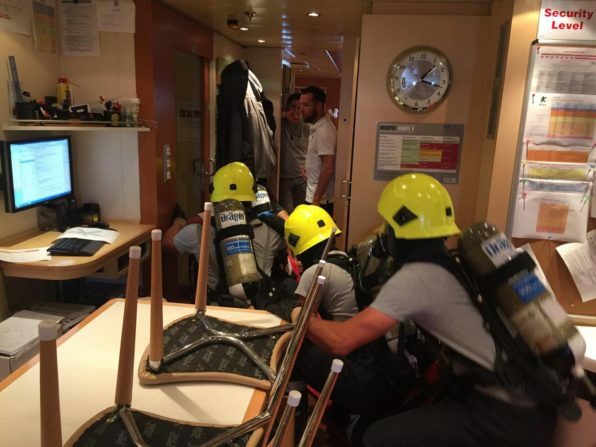 Having experienced both situations onboard myself I believe extra fire and medical training is essential especially in regard to the crew’s first response. It is also imperative for crew to rotate roles and have an understanding of all roles in an emergency situation. You never know who or how many people will be present in an emergency situation. When analysing and predicting the vessels future operations it’s imperative to identify areas which may increase danger, for example a vessel tying stern-to the rocks each day all summer should take contrasting supplementary training whilst under refit or construction as you face very different yet equally formidable dangers so I try to bare in mind. It’s all relative to the operation of the program. At the end of the day, safety never takes a day off and fire doesn’t knock… that’s the culture I try to install onboard all year round. What steps will you undertake to ensure your safety equipment and machinery is up to standard and ready for operation? With such a variety of equipment onboard vessels and with a cross over of departments with a lot of life saving appliances and systems onboard it’s incredibly important to be organised but also to have accountability within the crew. Particularly, HOD’s and designated officers. Within the deck department, items are checked in person weekly and monthly, by the second officer whilst the certification is verified by the 1st officer. Appropriate action is then taken. A planned maintenance system is essential for these tasks to be completed on time and for the creation of a digital log of completed drills. It gives me piece of mind knowing we have a safeguard in place to remind us of when drills are due. Having a history of your safety training is important for every vessel. What systems to you have in place to record these? Upon drills being completed we review and discuss the strengths and weaknesses to keep in mind and to carry into the next drill. We file a hard copy of the drill report monthly whilst also send a scanned to our ISM management company where it is cross checked. Anybody could do the same scenario month in month out for drills so it is very important to make sure all potential scenarios are being run out and different crew members are taking on different responsibilities. There is no benefit in having the same individuals doing the same tasks each week, not to mention boring for those involved. Also, with a high number of rotational crew it’s imperative that people are not missing certain drills over a sustained period of time. This is where additional safety training is very important in small groups to ensure confidence in reactions to emergency situations, right through the ranks. It’s up to the Safety Officer/ Chief Officer to identify where the additional training is required and to make time to apply it. At the end of the day if your Captain can sleep well knowing the boats in good hands, you’re doing a good job! Safety Training is paramount to a smooth and safe running program.